Area teens are encouraged to participate in “Own the Night”, the Manchester City Library’s summer program from June 25th to August 3rd. Teens are invited to come to the library and read for prizes, as well as to take part in special events offered throughout the summer. These events include Anime Club meetings, Super Smash Bros Brawl tournaments, crafts, and more. Participation is easy: Each time you read a book, fill out a short form with the book information. These forms double as raffle tickets. 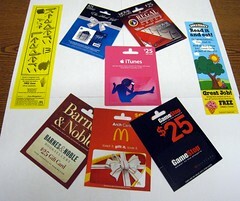 Attend one of our teen programs and earn a raffle ticket just for showing up. To learn more contact Kate Norton, our Teen Librarian.